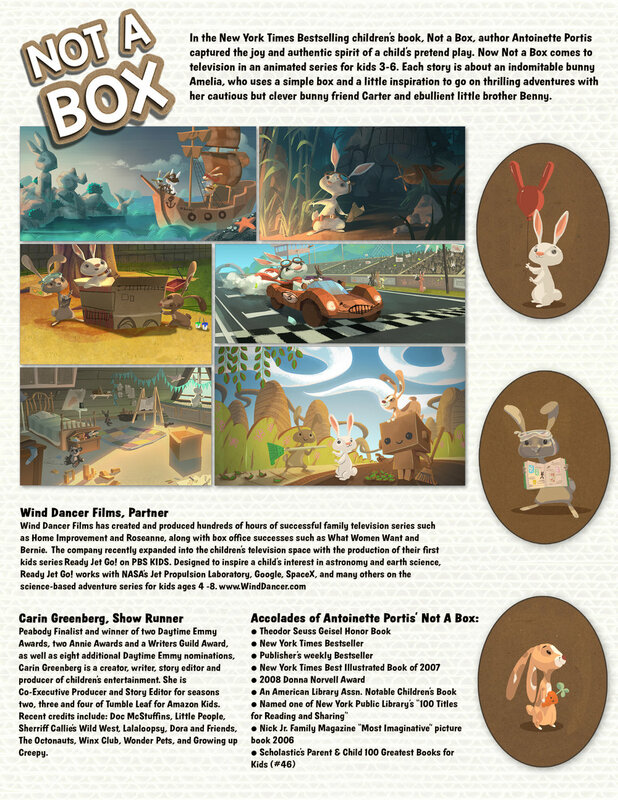 Concept: Not A Box is a series of fanciful excursions into the vivid world of a child's imagination. Whether using the box to sail the high seas or zoom through space, Bunny and his friends have a myriad of adventures that take them from the Amazon to the moon. And when there's a problem, Bunny and his friends are there to solve it. Like every kid who gets a present and ends up playing with the carton, Bunny knows that the best toy of all is his own imagination. And, of course, a box. Based on the bestselling, award-winning book, NOT A BOX by Antoinette Portis, one of Scholastic's Magazine's 100 Greatest Books for Children.